Saudade is the insanely-stacked supergroup featuring Deftones singer Chino Moreno, Bad Brains guitarist Dr. Know, former Bad Brains drummer Mackie Jayson, Chuck Doom of Chino’s band Crosses, and prolific keyboardist John Medeski. The band first came together in 2016, but we haven’t heard anything new from them until today, when they released this new, Chelsea Wolfe-featuring track “Shadows & Light.” Knowing how haunting Chelsea’s vocal style can be, it’s no surprise she perfectly complements the ominous atmosphere laid out by the band. 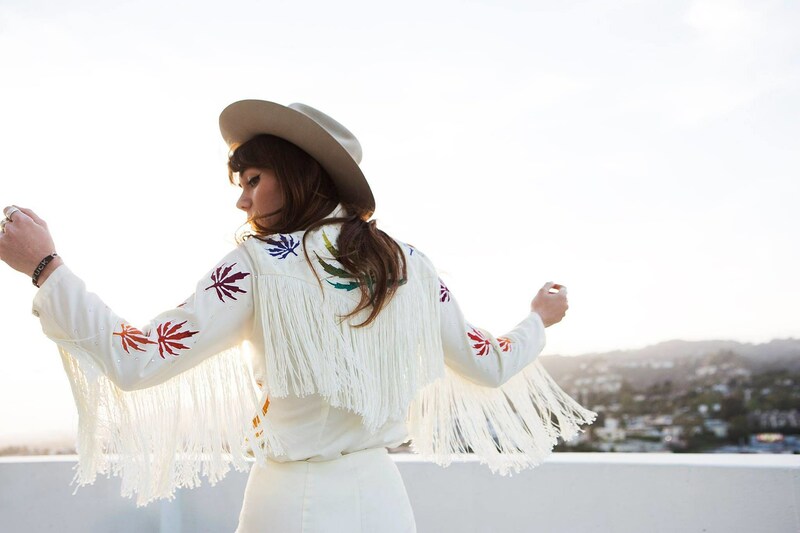 Jenny Lewis’ first LP in five years, On The Line, is out next week, and she’s just shared the album’s new single, which features a sugary, piano-based melody and memorable hook, with Jenny’s vocals being stunning as usual. Every band needs a theme song, and Japanese four-piece CHAI and put together a pretty gonzo one for themselves, an infectious, sample-crazed neon cheerleader overload of a track. It’s off their second album, PUNK, which you can read more about here. LA rapper 03 Greedo and producer Mustard (fka DJ Mustard) announced their collaborative LP Still Summer in the Projects, out March 29 via Alamo. The album was recorded before 03 Greedo began his 20-year prison sentence, and features this bouncy cut with fellow LA rapper and Mustard collaborator YG. Montreal artist Automelodi will release new album Mirages au futur verre-brisé — his first in six years — this spring. The second single is “Les Métros disparus” which shows main man Xavier Paradis to be a master of mood and sonics. Helping out here is Xeno & Oaklander’s Liz Wendelbo. Manchester trio W.H. Lung make widescreen synthpop with an unabashed glam streak. Their debut album, Incidental Music, is out April 4 and this new single “Second Death of My Face” recalls the heyday of Marc Almond. As London jazz group Cykada (members of Ezra Collective, Maisha, Myriad Forest) gear up to release their self-titled debut LP next week, they’ve shared this new single “Creation,” which continues down the bold, psychedelic trajectory set by their previous singles. It’s a thrilling ride from start to finish, filled with impressive solos. It hasn’t been too long since SOB x RBE member Yhung T.O. dropped his last project Trust Issues, but he’s already gotten back to releasing new songs. Like many tracks off Trust Issues, this single features his usual sung-rapped style, with an atmospheric instrumental loaded with West Coast flavor. Death metal progenitors Possessed will release Revelations of Oblivion in May, which will be their first new album in 33 years. Here’s the first single. The new BJM record isn’t that different than last year’s Something Else or really any of their records over the last 20 years, but it sounds especially good. With Anton Newcombe its always been about vibe and they really nail it here. One month before The National release their new LP, member Bryce Dessner will be putting out a solo classical album El Chan on April 5. This new offering from the record is credited to the “MDH Quartet”: Katia and Marielle Labèque on pianos, with David Chalmin and Dessner on guitars. Minneapolis wise-asses Uranium Club are back with another scorching LP of heavy meta — this opening cut rips like something on SST in 1981.